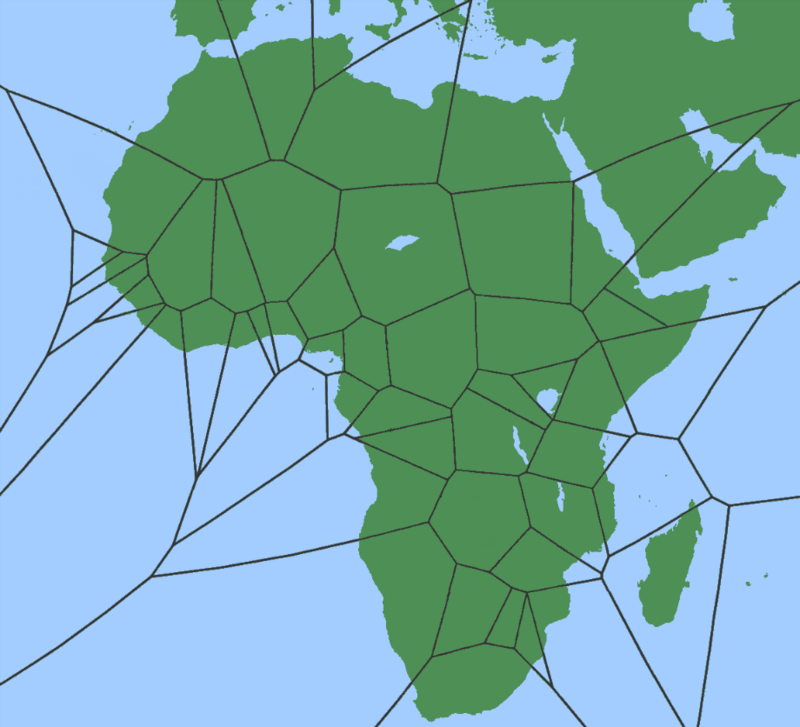 Can you click on the countries given based on the given Voronoi map of Africa? A Voronoi map is a map in which each of the regions is closest to a certain point. In this case, the points are the African capitals, and your goal is to guess which region is closest to the given country's capital city.